Learn to delegate more effectively, strategically and intentionally! So where does that leave the important, urgent stuff? Somewhere in your todo list and probably not near the top either. It’s a very common scenario for many business owners. The best way to delegate is to pick good people to do what needs to be done, empower them and give them the authority, responsibility and accountability for the job. Being in business means taking every opportunity to grow. But it needs to be done effectively, strategically and, most importantly, intentionally. Decide what tasks you’re going to delegate. Don’t chop and change from one moment to the other. Delegate and stick with your decision. Don’t look for perfection. When the buck has always stopped with you, it is difficult to let go of certain tasks, but delegating them gives the other person the challenge to improve what they do. Provide complete job instructions. Don’t set someone up to fail by not explaining exactly what you want them to do for you. The more information you give them, the better the result. Stop believing you’re the only one who can do the job properly.No, you’re not! Give someone with the right skills and experience the task and let them get on with it. Check on progress. It’s fine to check in with someone to see the progress of the task you delegated to them, but don’t micromanage them. Just let them get on with it and they’ll ask for help if they need it. Say thank you. Everyone likes to be thanked for their efforts. If you thank someone for completing the task you delegated to them, then next time they do it, you’ll get the same, if not an improved, level of effort. Remember that when you delegate a task to someone, you have to delegate the authority for them to be able to complete it. If they need specific information from other people and can’t get it, well, they’re going to have to come back to you. This is called ‘reverse delegation’ where the task can’t be completed without input from you. Remember that delegation has many benefits, both for you and for your business. It offers team development, motivation, growth and learning opportunities. 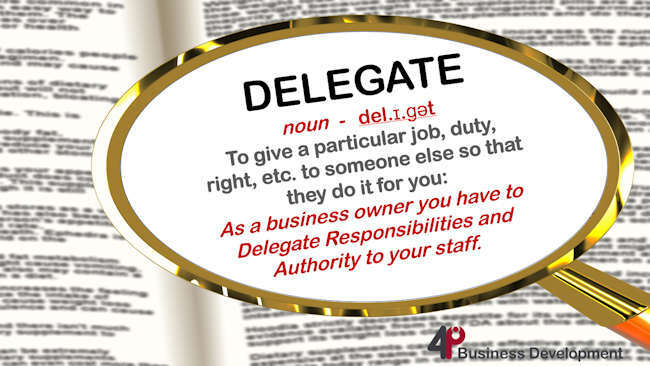 The only thing you as the business owner need to get past is letting go and actually learning to delegate. If you’d like to learn how to delegate or would like me to review which of your daily tasks could be done more effectively by others, do call me on 01280 700405 or click here to ping over an email and let’s see how I can help you. Introductions, Referrals and Recommendations are one way to find new clients! In my experience, what works best for me and majority of my clients is referrals and recommendations. But a recommendation is not a guaranteed sale. It is an opportunity for somebody to present their business where that presentation will be looked forward to with anticipation. An introduction is when two parties are brought together by a third party for a potential mutual benefit. A referral is primarily referring someone you know to one or more providers of the service they are seeking and enabling them to make their own choice. A recommendation is much more. It is where you recommend someone to one of your trusted partners, where you can be sure that they are sincere and are in the position to offer the exact service require to solve a need. If you can imagine the transfer of trust required to make a recommendation versus the limited trust expended to make an introduction, you can begin to see the difference. Introductions can be made between parties you know well, or those who you barely know, with limited effect on your reputation. However, careful consideration needs to be given to recommendations in order to keep your valued reputation. Would you give a recommendation for someone you barely know? Let ‘the cause’ become the ‘because’ – the reason – for people to do business with, and to refer business to, you. It is absolutely necessary to know and trust your partners, to have proof of their competencies, quality of work and preferably have the first-hand experience of their work ethics before you ever consider making a referral or recommendation. So just how do you go about getting quality referrals and recommendations? Well, you have to prove yourself to others then ask them. Business colleagues may well believe that you are too busy to take on additional clients, so it is important when out networking, or building your trusted partners network that you also communicate exactly what you are looking for and what capacity you have to accommodate the extra business. Referrals are the privilege of the opportunity given to you by someone else to potentially do business with someone who wants, needs or desires the products or services you offer. With this in mind, I would always suggest that you have a number of one-to-one, face-to-face meetings to get to know as much as you can about the other person before you consider recommending them to others. Reputations take years to build but seconds to destroy. Make a bad referral, and you’ll put paid to all the hard work and effort you’ve put in to create your own trusted network. Referrals and recommendations to grow your business are just one element in the 4Ps of business. If you’d like to learn more, then do give me a call on 01280 700405 or click here to ping me an email and let’s see how I can help you. If you have an enthusiastic member of your team, then one of these City & Guilds courses from Mary Thomas at Concise Training could help both you and them! One of the most frustrating aspects of assisting my clients in this area is the stuff around digital marketing. Clients are quite happy to outsource web design, blog writing and a number of other aspects of their marketing. They want to do it in-house, for it to be their own voice, to be relevant and then find that they do not have an employee who has the skills or, more importantly, the passion to see it through. Whilst delivering a marketing strategy workshop to a client this week it struck me that many of my clients are missing an opportunity. So, with that in mind, I made contact with one of my trusted partners to find out her views. Mary Thomas is an expert in delivering successful digital media strategies and products for her clients, however, she is also an expert in training, was instrumental in creating the City & Guilds social media and digital marketing qualifications. Do you have a keen member of staff in your office who is passionate about the business, who has a vision as to how to market and promote the business digitally and most importantly wants to improve their own skills and knowledge? If so, perhaps a City & Guild qualification studied over a 12 – 18 month period will be just the opportunity for growth they are seeking? More importantly, this will then give your business a structured, professional approach to digital marketing. I worked with City & Guilds to develop three practical qualifications to give your employees the skills they need to do their job more effectively for you and to develop their own career. Learn to use a range of social media channels in a structured way. You will learn using 12 of our high quality, interactive e-learning courses. You will be asked to complete 11 assignments to show evidence of the practical use of the channels. Individual feedback is given on each assignment to enhance your learning. Once all tasks are complete, you will achieve the City & Guilds ITQ Social Media Certificate. This is a highly practical qualification aimed at individuals who are new to the use of social media. It is suitable for individuals using social media for business as well as those using it for their own professional brand. Full support is included. Take your use of social media to the next level, with our City & Guilds Diploma in Social Media for Business. This qualification is aimed at those who use a range of social media channels, but want to learn about the application of social media in a marketing environment. The delivery is via 13 x webinars and 14 x e-learning courses over 12 months with start dates in January, March, May and September. Assessed via a portfolio of evidence with tasks designed to capture practical skills and understanding of social media within a business. Individual, personalised feedback is given in each assignment. Full support is included. These days, it is important to understand digital marketing as a whole. 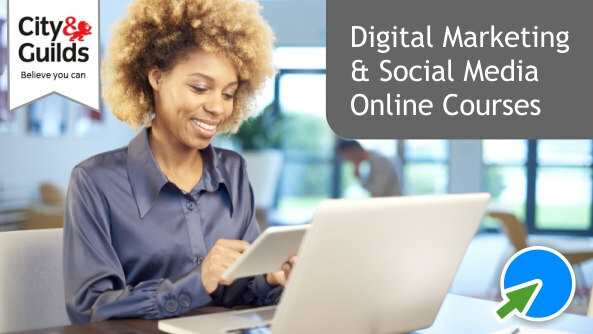 This course covers the full spectrum of digital marketing from social media, websites, e-mail newsletters and content marketing within a marketing environment. The course provides comprehensive cover of digital marketing techniques including creating a digital marketing strategy (with customer audit) and marketing plan, designing and creating an optimised WordPress website, using e-mail newsletters and creating a range of digital content including videos, e-books, infographics, images, blogs, status updates as well as digital advertising and lead generation. The course is taught over 15 months, using 19 webinars and 17 e-learning courses with start dates in February, June and October. It is assessed using a portfolio of evidence designed to capture the practical creation of content, websites, etc. as well as establishing a sound knowledge base. Individual, personalised feedback is given on each assignment to ensure full understanding and practical use in a business environment. Full support is included. To find out more about Concise Training and their training programmes you can visit their website or contact me and I’ll pass on your details to Mary. If you’d like to find out more about how I can assist in your marketing strategy or if you are interested in one of my marketing strategy workshops for your business, do give me a call on 01280 700405 or click here to ping me an email and let’s see how I can help you. Transferring shares to your spouse can have tax benefits, but it needs to be done right! It never ceases to surprise me how little attention is given to the financial considerations within the business and perhaps more importantly, if that is a family owned business, how much importance is given to the family finances. So many business owners fail to keep a track on their profit and loss and rarely focus on a forecast. It is so easy today with all the latest software and with digital taxation just around the corner. Then there is the consideration of the family finances for the owner’s future. How best to invest for retirement, what tax saving can be made and how to deal with any existing or potential taxation issues. Ordinarily, you may think that these are the sort of questions you should discuss with your accountant, however, the whole issue of personal, business and property taxation is a minefield and, in my view, you should always consult a tax consultant who is an expert in the field. Here is an exert from her blog where she talks about ‘How to provide dividend income for spouses, ensure the shares are transferred or issued to them in a robust manner that avoids any challenge from HMRC’. I am often asked by owner-managed companies, whether it makes sense to have some of the shares owned by their spouse. For tax purposes, the answer is mostly yes, but there are some non-tax reasons why it may not be a good idea. Under previous rules (pre 6 April 2016), owner-managers were able to pay ‘tax-free’ dividends to their spouses (or civil partner) of around £35,000 (if we assume they had no other taxable income). However, since 2016/17, this has changed with the abolition of the 10% dividend tax credit and the introduction of a 7.5% (basic rate) charge on dividend income. However, this does not mean that spousal dividend planning is dead. There is a potential for HMRC to challenge any dividends paid to your spouse and this was highlighted in the Arctic Systems case where HMRC argued that it was tax avoidance by passing dividends to the spouse when the owner-manager was obviously going to benefit. 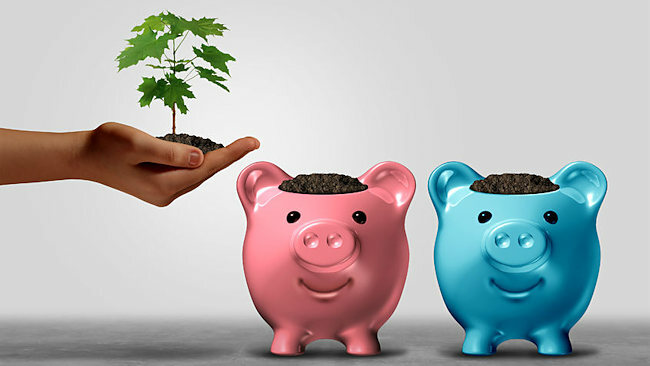 Spousal dividend planning requires careful implementation so if you are thinking of transferring shares to your spouse and don’t want to be scrutinised by HMRC then it is worth talking to a tax advisor to ensure the transfer is done properly. If you’d like to find out more about Helen Beaumont and Essendon Tax, personal or business tax planning then do give me a call on 01280 700405 or click here to ping me an email and let’s see how I can help you.